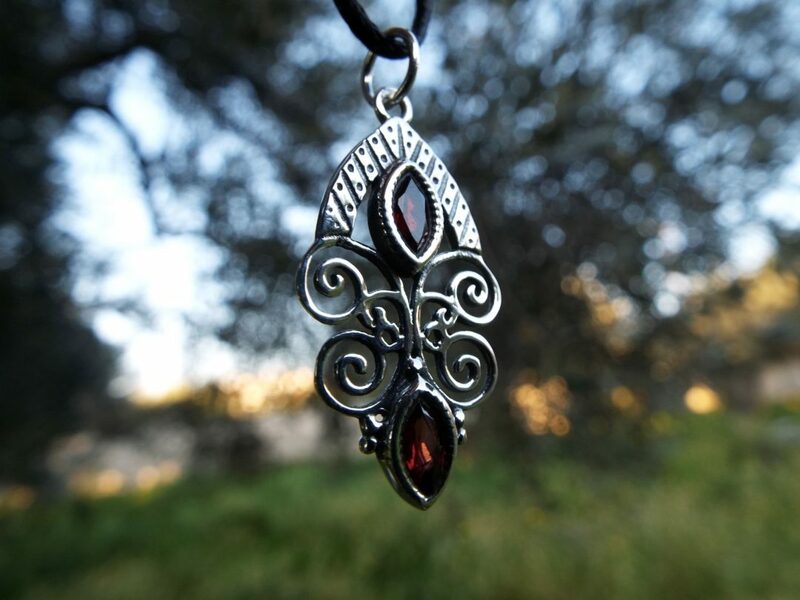 Garnet is a protective energy stone which is especially known for protection from evil during travel, nightmares, and from wounds. 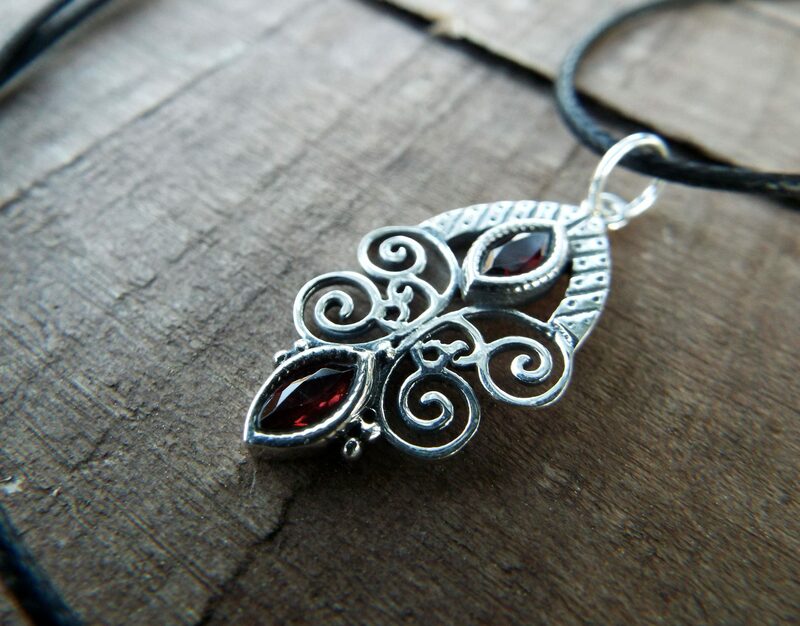 Garnet has been used to release bad karma, which can be considered a form of protection in this life. 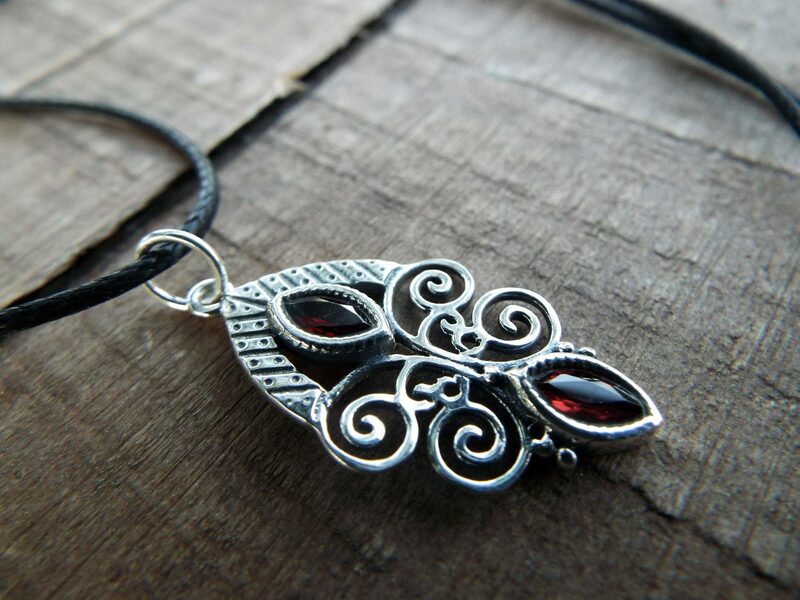 Garnet is said to be a stone of success and fortune. 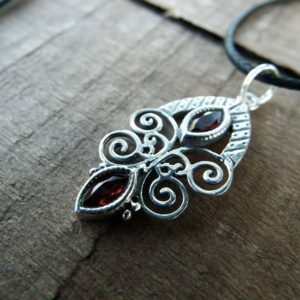 As a root chakra stone, garnet said to be excellent for manifestation. 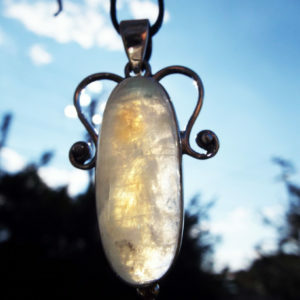 It is used to ground one’s dreams in reality, bringing abundance, prosperity, and realization of those dreams. 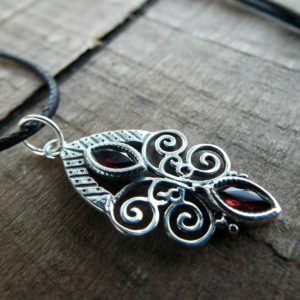 All garnets are used to assist on an energetic level with success in one’s career in part by building one’s self-confidence, inspiration, and creativity. 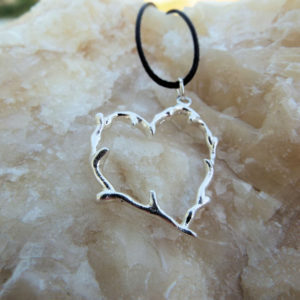 It can also make clear what is one’s life purpose. 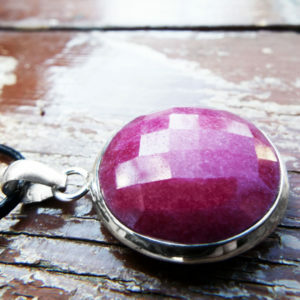 Garnet is also used to access ancient memories. 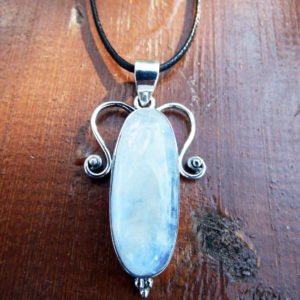 This makes it a preferred tool for past life regression. 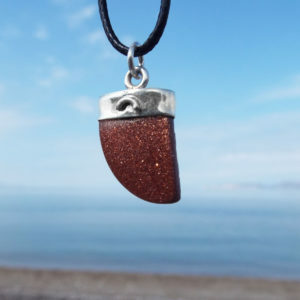 Emotionally, it is considered a stone of increasing commitment, honesty, hope, and faith. 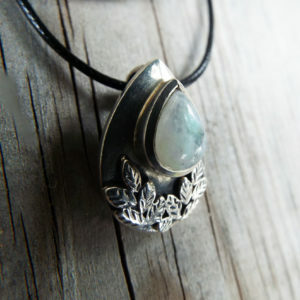 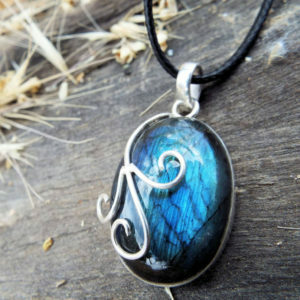 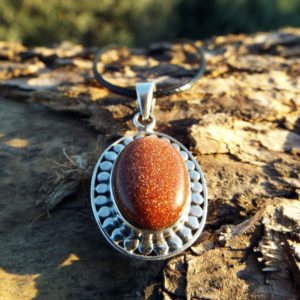 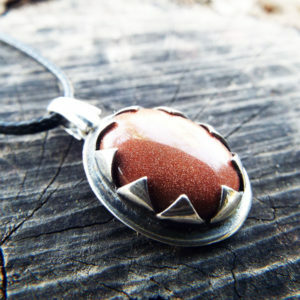 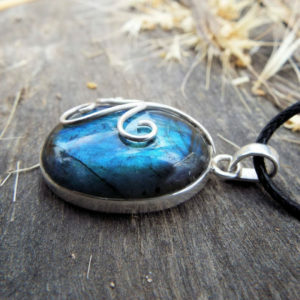 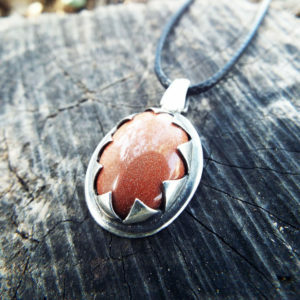 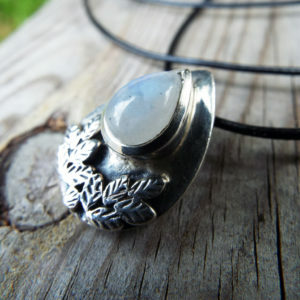 It is a stone of positive thoughts which is said to dispel and relieve depression. 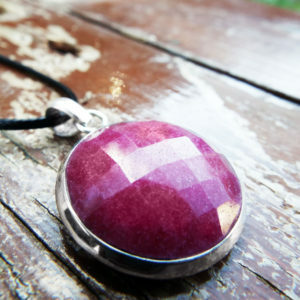 Garnet is also used to overcome crisis and trauma. 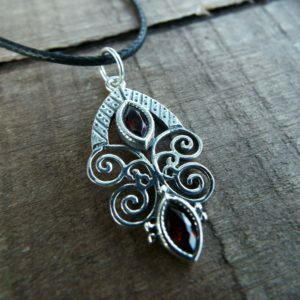 It is used to bring one away from a sense of helplessness or victimization and imparting courage. 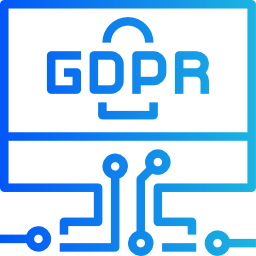 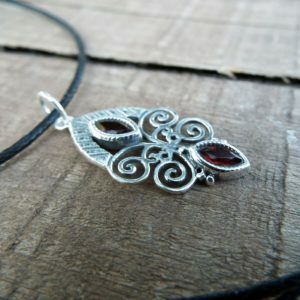 It is used to assist in diminishing or eliminating abandonment issues. 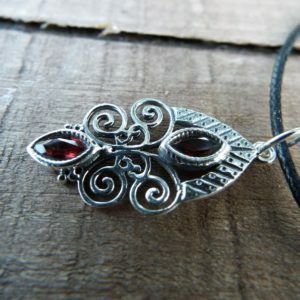 One of the ways said to bring these about is releasing old ideas and perceptions of self and others which allows one to see them as they are, rather than through a filter of fear. 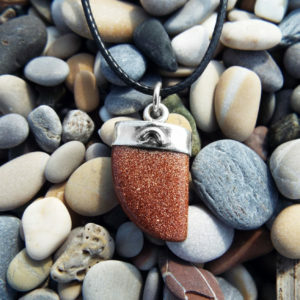 Thus it can reduce or eliminate conscious or unconscious self-sabotage. 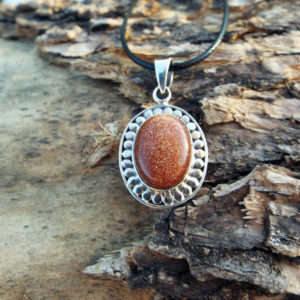 It is said to enhance emotions in a positive way, and also be quite calming. 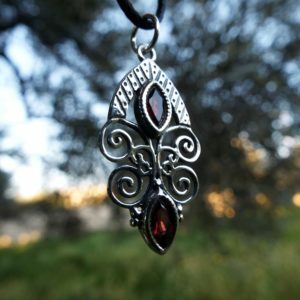 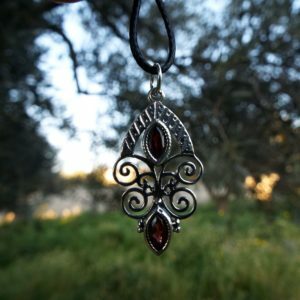 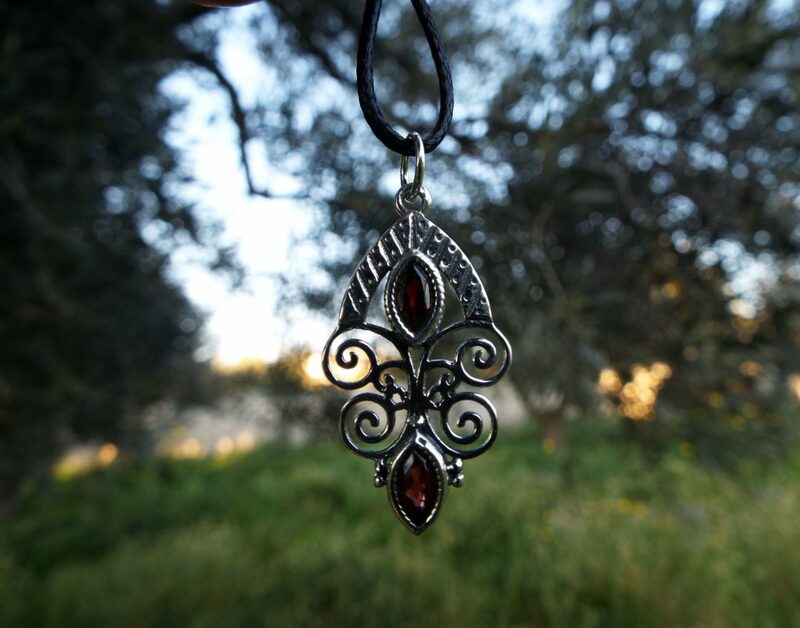 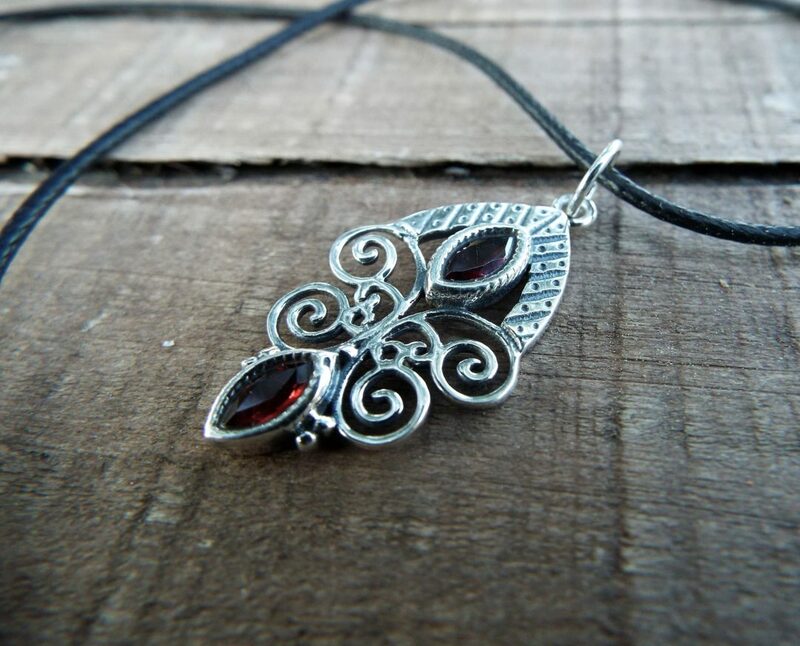 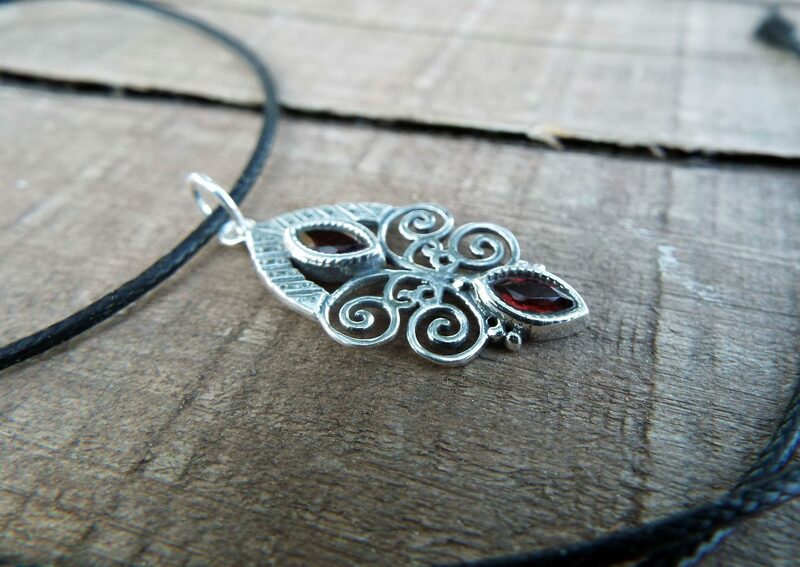 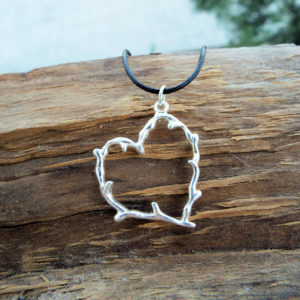 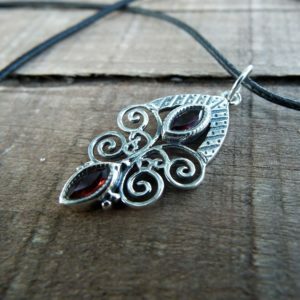 Embrace the calming garnet with this handmade piece! 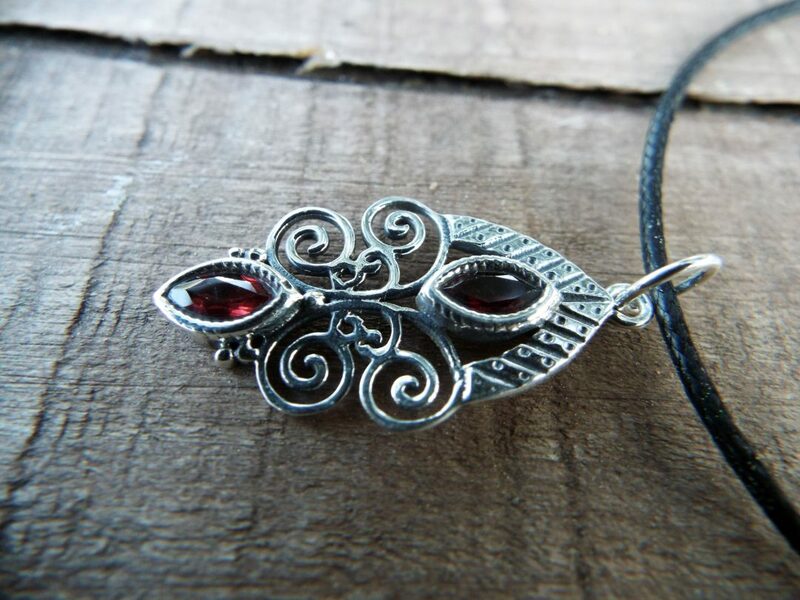 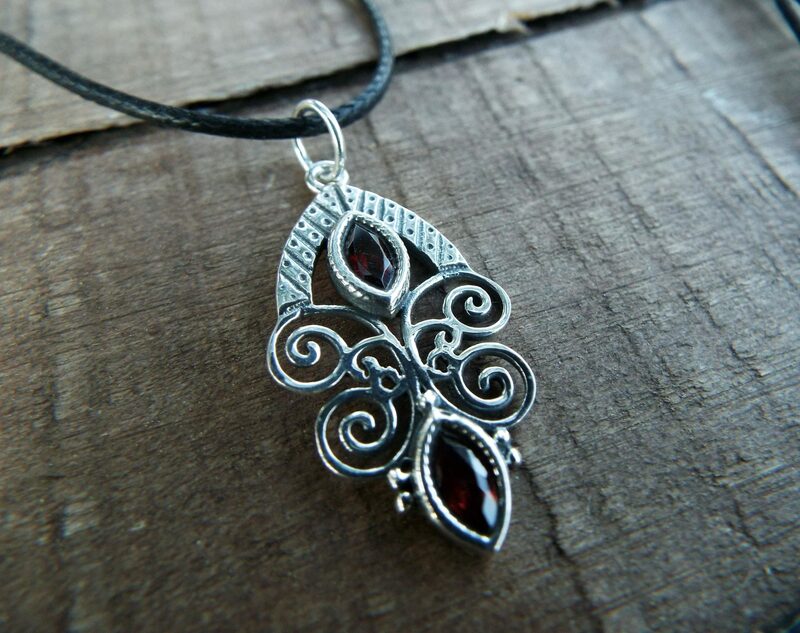 It’s made of sterling silver 925 and glistening red garnet.